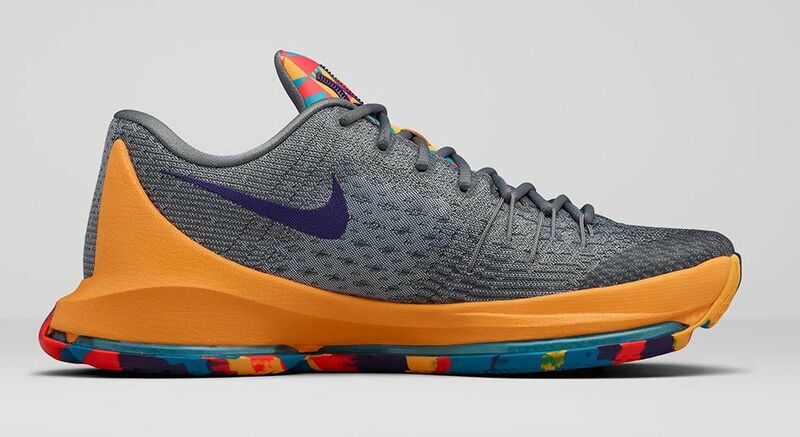 As always, Black Friday weekend will be a busy one in terms of sneaker release dates. 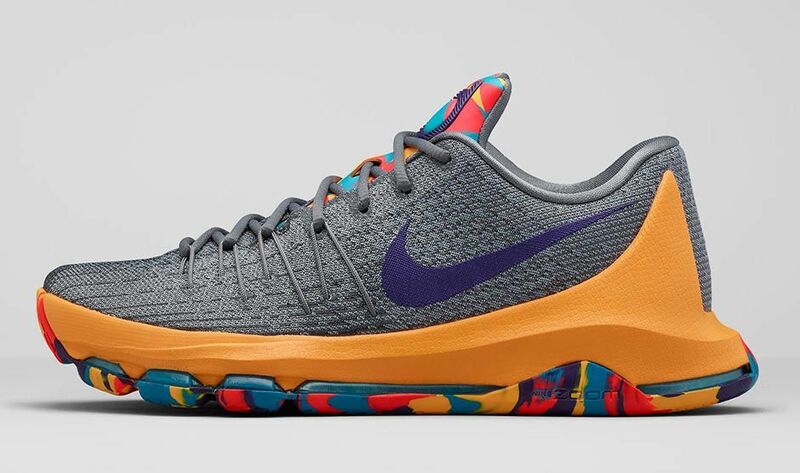 Kevin Durant will be ahead of schedule with this KD 8, which releases next Wednesday. 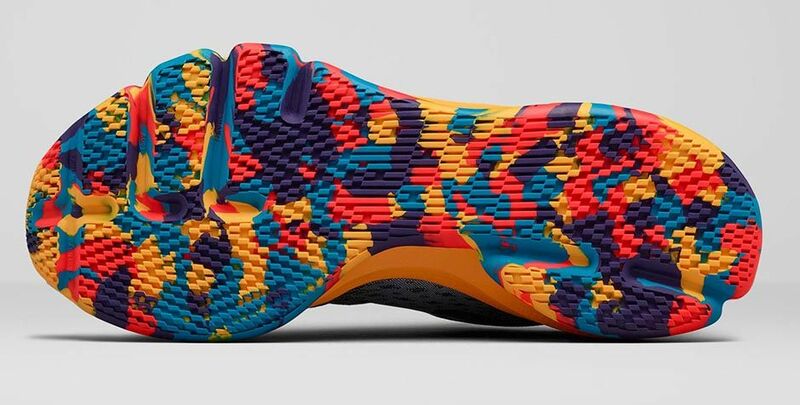 Nike Basketball on the whole is looking kind of quiet for the weekend – most of the focus will likely be on retro Jordan styles instead. 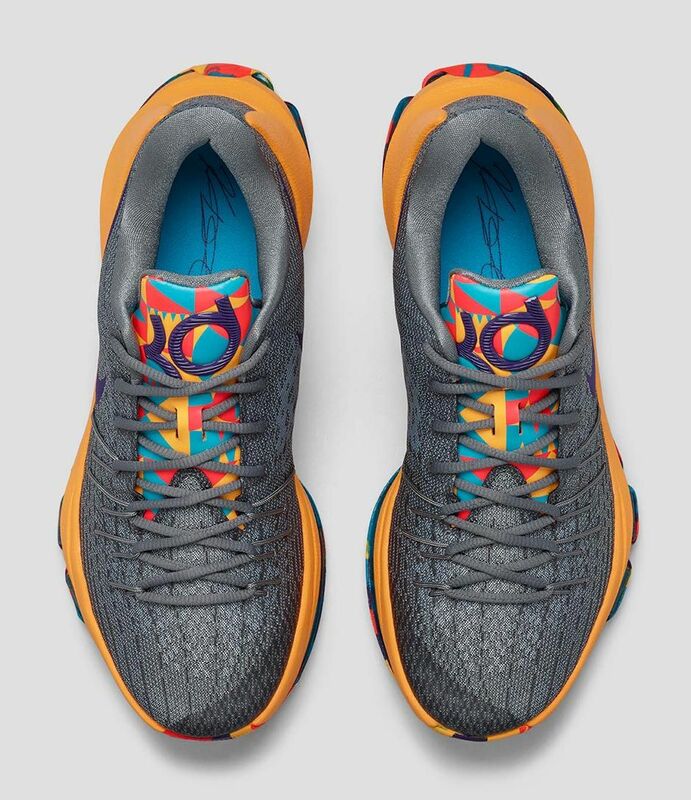 Durant's entry features a multicolored sole along with a wolf grey upper and purple/blue accents. 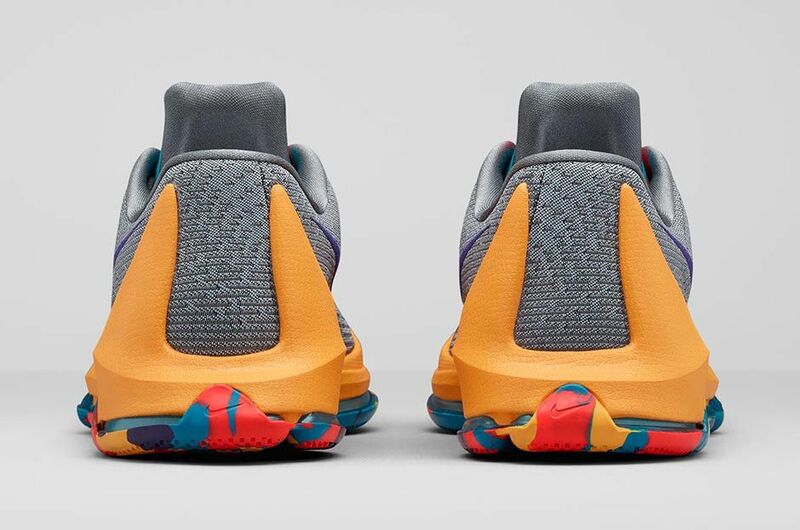 The colorful look on the shoe is a reference to the seal of his native Prince George's County, with the tongue looking most like that crest. 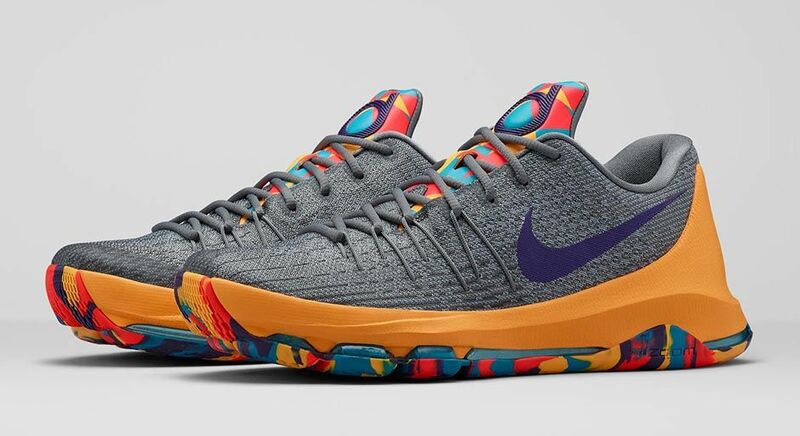 Watch for the "PG County" KD 8s to release on Nov. 25 for $180 at Nike accounts.